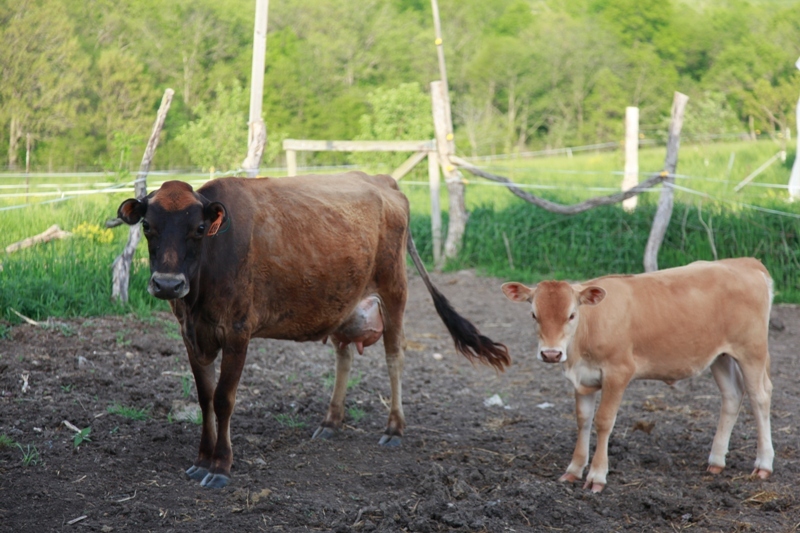 While we were farmsitting for some Old German Baptist friends this past weekend, I remembered, while I was walking down to the pasture to try to nudge the cow up to the barn, that I had a post due over here at Practicing Families this week. I wondered and pondered as I trudged down the path, and then it hit me: I would write about solitude and my sometimes desperate need for that fleeting, but necessary, state of sacred being. Last week, at the farm, those moments of solitude were pretty easy to capture. Our children spent much of their time outside, where they played with kittens and gathered eggs and explored. Matt had over 5,000 seedlings to water every day and chickens and horses to care for and an afternoon nap to savor. I found myself, quite often, alone, usually performing some quotidian task. There was a rhythm to washing dishes, a rhythm I heard as I listened to the hiss of water warming on the stove, a rhythm I felt as I clinked tin plates and cups together in the tepid water, a rhythm I saw in the scramble of barn cats on the porch as I brought them a bowl of scraps. 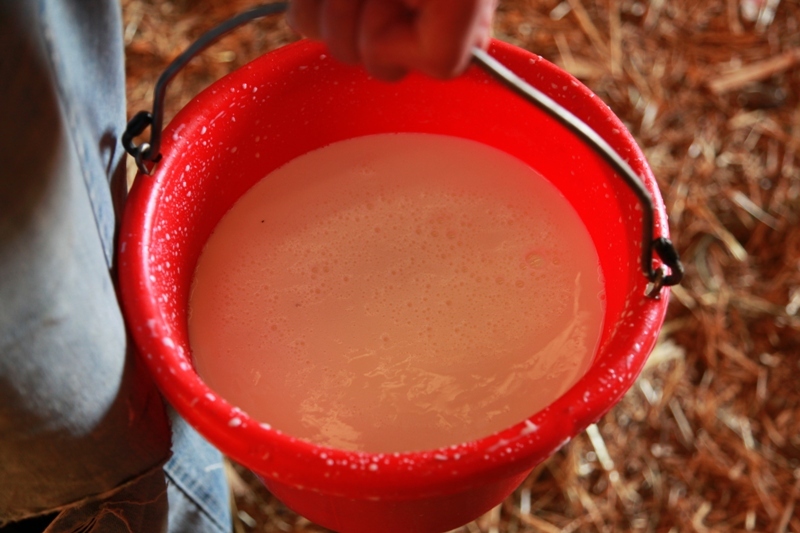 There was a rhythm to milking the cow, a rhythm I heard as I listened to the swish, swish of milk squirting into the pail, a rhythm I felt as the cow’s tail whooshed up and slapped me in the face, a rhythm I saw as the foamy, white milk slowly filled my pail. 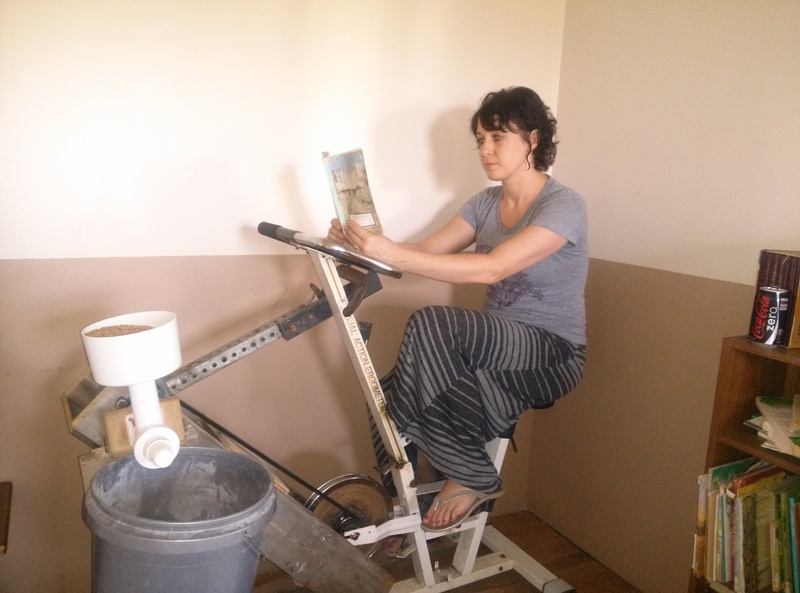 There was a rhythm to grinding wheat on a stationary bike. There was a rhythm to journaling and rocking on the porch swing. There was a rhythm in the crackle and flash of a lightning storm that Matt and I watched from the porch. There was a rhythm in my step as I walked outside to pick lettuce and asparagus. There was a rhythm in the coyote howl as I fell asleep and the singing birds as I awoke. The solitude that seemed like it would be so easy to write about—that was, at the time, so easy to experience—suddenly became maddeningly elusive. Since we came back from the farm three days ago, I have had no time to write, much less be alone. I went from a rhythm of life in sync with the slow loping of a cow to a rhythm of life more in sync with the frantic and panicked pace of a runaway horse. So now it’s 6:15 on Thursday morning, and I am in my attic, with a steaming cup of coffee beside me and my laptop in front of me. Ironically, I am writing about solitude on a day when these stolen moments are going to be my only quiet moments of the day. Quite frankly, I have been too busy since we came home three days ago, and I feel so desperate for this time alone that I could cry. I crave solitude. I long for solitude. I need solitude. Don’t get me wrong—I love people. I love my friends, my family, my husband, and my children. I love to talk to them and go on walks with them and hang out with them. But I am also, with every cell in my body, an introvert. If I don’t get enough time alone (which is pretty much always), I feel drained, cranky, and overwhelmed (which is pretty much always?). I find it especially hard to be an introverted parent. My children need me. Often. My children talk to me. Often. I homeschool Amélie and make sure that she has social contact. Often. I love my children, of course. I love my husband and my family and my friends. I feel incredibly guilty that I have such a desperate need to spend time alone. I think I have spent much of my adult life fighting my introverted tendencies. I felt like something was wrong with me, so I would spend periods of time pushing myself into activity after activity, and then I would crash and wonder why. Now, I don’t feel like my introversion is a disease, but I still struggle, with a classic dose of guilt, to allow myself that time to be alone. I need that time alone to connect with myself and with God and to replenish myself so that I can function as a parent and wife and friend. When I do not spend time alone, I lose touch with myself. When I do not spend time alone, I lose touch with God. When I do not spend time alone, I have nothing left to give my children, my husband, my friends. I am three days in from my living-off-the-grid detox, and I am already at it again: shooting up busyness and Facebook and the Huffington Post app on my phone. I am not sure what to do. My marriage, my children, my relationship with God, and my sanity depend on my figuring out a way to carve some sacred space for solitude. As soon as I find some time alone (and I realize how lethal the words “as soon as” can be), I am going to sit down with a piece of paper and a pen and create a plan for solitude. But maybe, in the meantime, you could help me. Do you need time alone, or am I the only one who sometimes pretends to have to go to the bathroom so that I can breathe, for a moment, in silence? How do you, as a parent, create intentional solitude? Or, perhaps, how would you, as a parent, like to create intentional solitude? 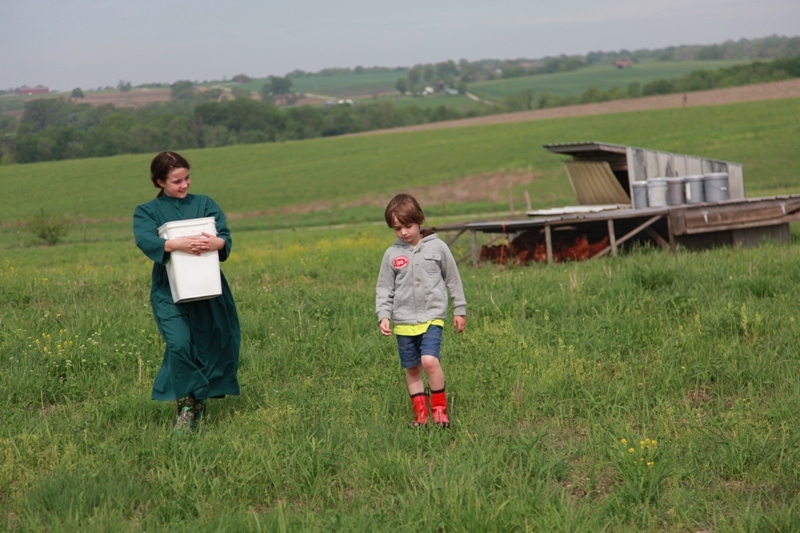 Tags: children, family, farmsitting, introversion, kids, off the grid, Old German Baptist, quotidian, rhythm, solitude, spiritual practices. Bookmark the permalink. In another week, I am about to head off for four days of silent retreat at a monastery, as I have for the past 13 years, since I was seminary. My children are now 5 and 2. I have remained committed to my retreat, adjusting the timing of it somewhat for pregnancy, or the length of it when I was nursing (once I left a breast pump part at home and had to find a Target out in the country that carried the part!). It is a necessary time of solitude and prayer for me. This time supports my work as I strive to be a loving, caring, and sensitive priest, wife, and mother. Having lived with monastic rhythm also helps me to maintain this rhythm somewhat while I am home–in part by reminding me what a powerful effect even small periods of quiet prayer and silence have on my day. I put this out there because I notice that so many women feel that it would be *impossible* to do a silent retreat for a few days. Granted, this would be much more difficult if I was a single mom, say. (However, I have a good friend who is a single mom, and she also goes away on retreat for a few days each year, so clearly not impossible.) 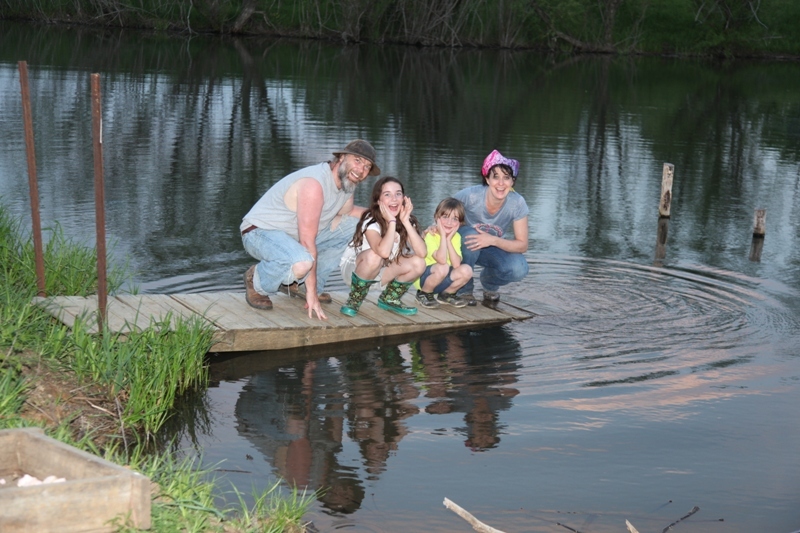 Being away from home also helps to remind me that the kids really will be fine without me for a few days–the way I do things is not “the way” things have to be done. I would also like to add that we are not people of great means–we do not have 2 fulltime salaries right now, so money is tight. Still, I’m off. Because it is that important. Think about it as a possibility for you, too. One more thing about how to create solitude/pockets of quiet at home (not that I am an expert on this! ): recently I got some good spiritual advice: “Do something that seems like it couldn’t possibly be enough.” I’ve been amazed at how much of a difference those micro-practices make. Regina, thank you for your comments! Actually, visiting a monastery is on my “to do” list, although I keep saying, “I will spend a few days at a monastery as soon as…” and therefore, I have yet to do it. I also love the quote you shared. I am going to print that off and place it somewhere as a reminder.